Digital learning, workshop learning or e-learning? It’s a challenge for employers to decipher which approach will meet their objectives. Employers often ask us which is the best way to go, and the answer is the same every time – there is no one-size fits all. Each organisation we work with has a different culture, requirement and learning objective. Over sixty years ago, Benjamin Bloom presented the world of learning and development with a new theory. Bloom identified six different stages of learning: remembering, understanding, applying, analysing, evaluating and creating. We begin at simply acquiring knowledge with the ultimate goal of creating new things and ideas from what we have learned. E-learning courses present employees with a large amount of training content, delivered through reading (or listening) to information, answering periodic questions and achieving a pass or fail at the end of a module. This technique is great for pushing knowledge, a level of engagement and compliance within the short term. If we apply Blooms theory within this context, e-learning successfully ticks boxes one and two, but fails to enable the application of new knowledge, and therefore develop learners past the second stage of progression. What good is new knowledge if your employees don’t know how to use it? In short, they need the ‘so what’ factor. Successful learning will only take place if new knowledge is continuously applied and reinforced. Digital learning has some clear differentiators to e-learning. Most importantly, its interactive and customised over several modules, broken down in to bite sized chunks. Quality digital learning courses are designed to become part of an organisations daily working life, customised and collaborated in a way that makes the application of new knowledge the natural next step for learners. 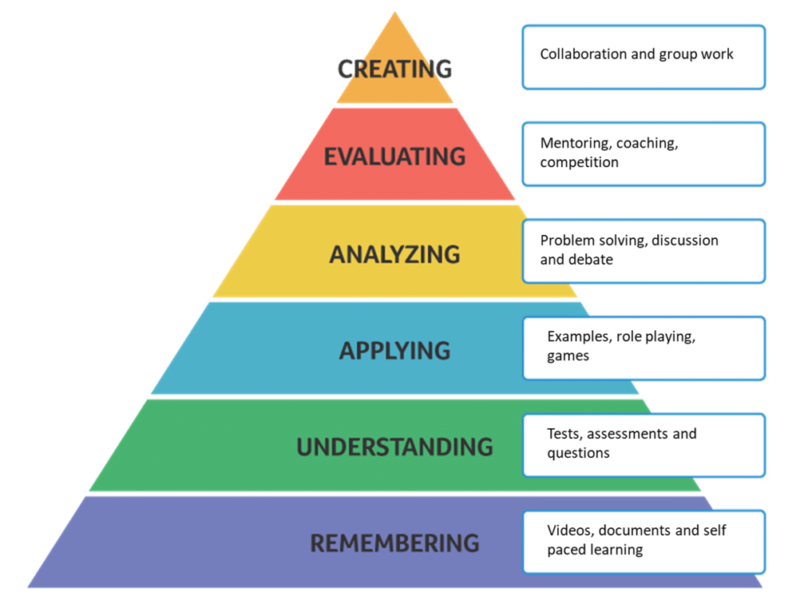 If employers can engrain a digital learning culture successfully within their teams, the long-term impact will see employees discuss, debate, coach and compare their learnings – progressing to the higher levels of Blooms Taxonomy. Blended learning is a well-versed term within learning and development, and one which has been proven to achieve a successful transfer of new behaviours within an organisation. Applying a mixture of digital learning and facilitated workshops generates an environment where the ‘always on’ interactive benefits of digital learning are complemented by a learning and development professional providing discussion, debate, mentoring and coaching. Some organisations are taking blended learning one step further, exploring new techniques to allow for this in-depth evaluation and collaboration to take place. We’re working with some of our clients to develop their learning programmes through an approach dubbed ‘crowdsourced learning’. With this technique, our learners are set a group task where each learner is accountable to each other. They are given a digital collaboration platform to share ideas and assign tasks. 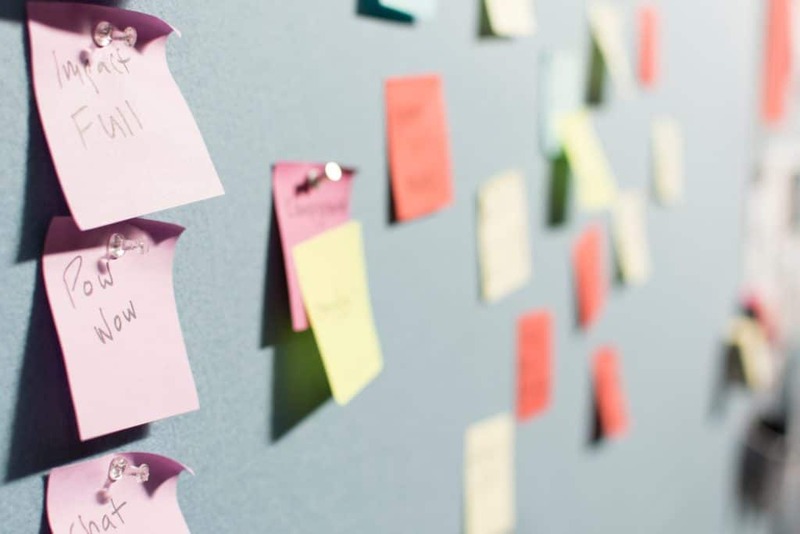 Within the learning environment, learners seek the best outcome for themselves and their group, a technique that is wholly learner-centric, facilitated by evaluation and collaboration – the final two stages in Blooms theory. We’ve found that with our clients, this approach nurtures a type of social learning and peer to peer collaboration that not many other learning techniques have been able to achieve. And it doesn’t stop there…. many leaders in the learning and development profession are now also using Artificial Intelligence to tailor learning content specifically to a user’s needs in the most granular detail we’ve seen so far. It’s extremely tailored and delivered directly to the learner to work on in their own time. The ultimate in digital learning….so far! 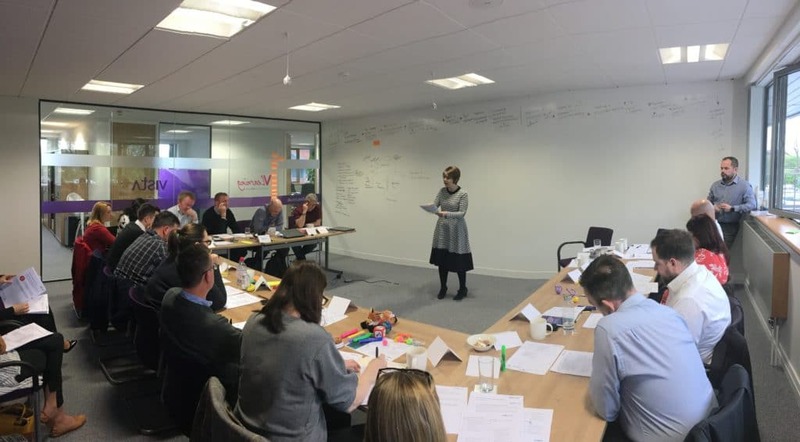 The world of L&D is an innovative and exciting space, and we’re delighted to be helping our clients to achieve behaviour changes that impact their bottom line through a blend of digital learning and workshop learning. We pride ourselves on being a people business, so if you take one thing away from this blog today, let it be this; don’t forget about your people! Many employers have a tendency to become pre-occupied with choosing the right technology to deliver their learning, and often they lose sight of the people they are trying to develop. When choosing the right approach for your organisation, make your decision based on your learners needs.